The American Civil Liberties Union and the ACLU of Texas filed the first motion today to block the anti-immigrant and anti-law enforcement Texas Senate Bill (SB4) before it takes effect. This is the next step in the organization’s effort to strike down SB4. The law, recently signed by Gov. Greg Abbott, strips localities and local law enforcement in the state of the authority to determine how to best use their limited resources to ensure the safety of their communities. The law also turns Texas into a “show me your papers” state. Law enforcement leaders throughout Texas and the country strongly oppose the law. The motion, filed on behalf of the plaintiffs Texas LULAC and its members, the City of El Cenizo, the City’s Mayor Raul Reyes and Maverick County and elected officials of the County, asks the federal district court in San Antonio to fast track a ruling on the constitutionality of SB4. In this motion, the ACLU demonstrates that SB4 violates numerous fundamental constitutional rights and principles. The ACLU’s co-counsel are Luis Roberto Vera, Jr., LULAC’s National General Counsel, and Renea Hicks of the Law Office of Max Renea Hicks. Vanita Gupta, president and CEO of the Leadership Conference on Civil and Human Rights, submitted a declaration in support of the ACLU’s motion filed today. Gupta is a former head of the Civil Rights Division at the U.S. Department of Justice. See here and here for the background. This occurred after the AG’s office filed a motion in the Austin court to consolidate the other anti-SB4 lawsuits with the lawsuit he filed to declare the law constitutional. Among other things, the courts are going to have to decide which of them will be the court in which all the action takes place. For now, there’s a lot of parallel activity going on. I can see this escalating quickly. In the meantime, go read this NBC Latino story for the backdrop against which all this takes place. Supporters of SB4 balk at suggestions the immigration enforcement law may foster racism or encourage discrimination, but as they try to enact it on Sept. 1, it will be impossible to ignore the state’s history of racism and the current challenges for Texans of Mexican descent. 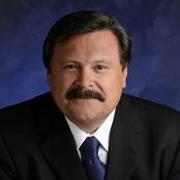 Consider that, during the period from 1848 to 1928, at least 232 people of Mexican descent were killed by mob violence or lynchings in Texas — some committed at the hands of Texas Rangers, according to research by William D. Carrigan and Clive Webb, authors of “Forgotten Dead: Mob Violence Against Mexicans in the United States.” Texas led 12 states in killings of Mexicans and Mexican-Americans, the authors solidly documented. More recently, Texas’ voter ID law, enacted in 2013, has been struck down in a series of court decisions that found it discriminatory. Also, Texas’ education board only added Mexican-American studies as an elective course to its public school curriculum in 2014. “For Texas it really has been a slow march to effective citizenship for Mexican-Americans,” said John Morán González, director of the Center for Mexican American Studies at University of Texas at Austin. Read the whole thing. You can argue with its premise or with the assertion that SB4 is racist, but you still have to grapple with the history. The DMN has more. The ACLU of Texas and the ACLU Immigrants’ Rights Project have joined the lawsuit challenging Texas Senate Bill 4 (SB4), which demands that local governments and their employees engage in federal immigration enforcement practices. The case, City of El Cenizo, Texas, et al. v. State of Texas, et al., was filed earlier this month on behalf of a group of local governments and law enforcement officials whose rights and ability to serve their own constituents are imperiled by SB4. The Plaintiffs include the City of El Cenizo, El Cenizo Mayor Raul L. Reyes, Maverick County, Maverick County Sheriff Tom Schmerber, Maverick County Constable Mario A. Hernandez, and the Texas State League of United Latin American Citizens (Texas LULAC). “Under SB4, local authorities will lose control over public safety and Texans will suffer from discrimination because of the color of their skin, accents or background,” said Lee Gelernt, ACLU Immigrants’ Rights Project deputy director. The El Cenizo lawsuit was filed in the United States District Court for the Western District of Texas, San Antonio Division. The ACLU will serve as co-counsel with Luis Roberto Vera, Jr., LULAC’s National General Counsel, and Renea Hicks of the Law Office of Max Renea Hicks. See here for the background. There is also the El Paso County lawsuit, which is different in nature due to a previous lawsuit settlement that may put El Paso in conflict with SB4. The city of San Antonio may get into the act in the near future, and once the pension reform bill is signed there will be pressure on Mayor Turner to address the issue as well. I’m happy to see as many lawsuits against this atrocity as possible. Some more unfinished business for the courts. Some plaintiffs challenging Texas’ voter ID law want a federal appeals court to speed up its consideration of the case, looking to sort it out before the next wave of elections in the state. In a court document filed Wednesday, the plaintiffs note that 5th U.S. Circuit Court of Appeals has not yet set a schedule to hear the case, casting uncertainty over how much time its outcome will give municipalities to prepare for their elections in May. “This Court should seek to resolve this appeal as promptly as possible in order to ensure that a constitutional system of voter identification is implemented for upcoming elections,” wrote the plaintiffs, which include U.S. Rep. Marc Veasey, D-Texas, and the League of United Latin American Citizens. As you may recall, federal Judge Nelva Gonzales Ramos struck down Texas’ voter ID law in October, less than two weeks before early voting was to begin. The Fifth Circuit, subsequently backed by SCOTUS, stayed the ruling, which allowed voter ID to be implemented in November despite the judgment that it was unconstitutional. The justification for that was that election officials had been preparing for voter ID to be in place, and it would have been “too chaotic” to change direction at the last minute. Well, the next (non-special) election is in May, so there’s plenty of time to get this resolved before then…assuming the Fifth Circuit gets around to putting a date for the appellate hearing on the calendar. We know the Fifth Circuit has a lot on its plate right now, but that’s no reason to dawdle. Let’s get this show on the road. The state of Texas put on its case in the voter ID trial. Lawyers from the Texas attorney general’s office presented witnesses Wednesday in federal court defending the state voter ID law as necessary and attempting to rebuff claims that it is discriminatory. The state’s case in the federal trial, now in its second week, relies in part on the written testimony, read in court, of Republican state legislators. On Wednesday, U.S. District Judge Nelva Gonzales Ramos heard testimony from state Sens. Troy Fraser, R-Horseshoe Bay, and Dan Patrick, R-Houston, the Republican candidate for lieutenant governor, who said that the voter ID law had the support of the vast majority of people across that state. Also Wednesday, witnesses for the state and plaintiffs’ lawyers — representing the U.S. Justice Department, as well as several civil rights groups — sparred over the voter ID law and its effects. During one exchange, Richard Dellheim, a Justice Department lawyer, tried to discredit an expert witness for the state. Trey Hood, a University of Georgia political science professor, was called by the state to discuss his study that showed the voter ID law in Georgia resulted in suppressed voter turnout in 2008 among people of all races and ethnicities, compared with the comparable election in 2004 before the law was enacted. Dellheim asked Hood if the study was valid and applicable in Texas. Hood said he thought so, though he later said he couldn’t empirically prove it was. Dellheim then pointed to other courts’ opinions about Hood’s work, and noted his studies were called “wholly unreliable,” “suspect” and substantially less credible than other studies. Oops. There were other embarrassing revelations as well. Emails from a Department of Public Safety official raised questions Tuesday in federal court about the sincerity of the agency’s voter qualification efforts. “Zero’s a good number,” Tony Rodriguez, a senior DPS manager wrote in a email presented as evidence in the ongoing voter ID trial. Rodriguez was responding to a subordinate’s report that no election identification certificates had been issued the day before at a DPS location. 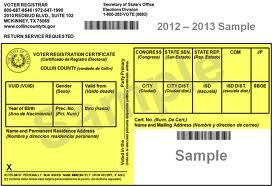 Election Identification Certificates, or EICs, are a form of identification provided under the contested law that requires Texans to show certain photo identification before casting a ballot. The EICs are an alternative for citizens who are unable to – or chose not to – get other forms of qualifying photo identification. The messages were discussed the same day the State of Texas began defending its voter ID law in a trial that has garnered national attention for its potentially wide-reaching implications. The law in question, known as Senate Bill 14, was passed by the Texas Legislature and signed into law by Gov. Rick Perry in 2011. “This is getting better by the day,” Rodriguez writes in another when a different report shows no EICs had been issued. He said that was his way of expressing disappointment over the lack of certificates issued despite extensive man hours going into the program. It was sarcasm, he told a Department of Justice lawyer in court Tuesday. “‘This is getting better by the day’ is a pretty unusual way to express disappointment, yes?” DOJ attorney Anna Baldwin asked Rodriguez during his testimony. A recent tally shows the state has issued 279 EICs despite having more than 350 locations or entities equipped to distribute the cards, according to court testimony. That’s an attitude that comes from the top, I’d say. Not hard to understand why it might be pervasive among the folks on the ground as well. See also this Trib story about the lack of places at which to get an acceptable form of voter ID and the fuss that Democratic Senators are raising about it. By the way, if you’re wondering why testimony from Republican legislators was read into the record from earlier depositions instead of being taken live, you’re not the only one who thought it was odd. Before resting, the state declined to unseal testimony of other lawmakers and did not read transcripts from their depositions into the record. Notably, the court did not hear from Speaker Joe Straus, who presided over the House when the voter ID law passed, and Rep. Patricia Harless, a Republican from Spring and author of the House version of the voter ID bill, both of whom were on the state’s list of witnesses. 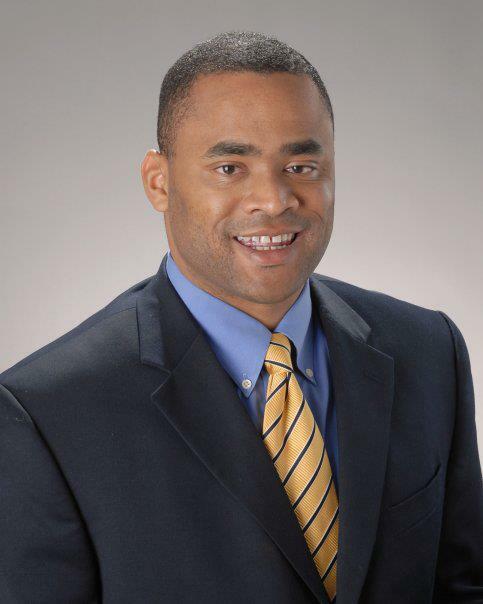 Plaintiffs’ lawyer Gerry Hebert, who is representing U.S. Rep. Marc Veasey, D-Fort Worth, and the League of United Latin American Citizens, said he cannot remember — in his 41 years of practicing law — when a state or local government declined to call an elected official to testify in person at a trial, especially when the intent of the legislative body is at stake. “It’s extraordinary,” he told the American-Statesman. Herbert said he believed the absence of live testimony from lawmakers signaled that they cannot defend the law in court, Hebert said. I’m sure the judge will be duly impressed by the majesty of your retort, Lauren. Abbott has gone to great lengths to prevent any Republican legislator or legislative staff member from testifying. It’s more than fair to speculate as to why. I hope the judge notes this in her opinion. As always, see the Brennan Center’s coverage – here are their writeups for Tuesday afternoon, Wednesday morning, and Wednesday afternoon. The state has rested its case as of Thursday, and closing arguments will be held on September 22. Defending the ID measure, lawyers for Texas sought to cast doubt on the credibility of some expert witnesses, but offered little that undermined the broad thrust of the challengers’ case. They said at the close of proceedings Monday that they planned to offer just two witnesses, with their presentation lasting only around a day and half. The law’s opponents suggested privately that Texas’s laissez-faire approach shows the weakness of its defense. But the state may be relying on a basic reality: Thanks to the U.S. Supreme Court, the burden of proof is on the challengers to show that the ID law will stop Texas’s racial minorities from voting. Texas’s voter ID law, passed in 2011, was struck down the following year by a federal court, which ruled that it violated Section 5 of the Voting Rights Act (VRA). Under Section 5, Texas and other covered areas had to show that their election laws didn’t disproportionately affect racial minorities before they could go into effect. In 2013, the Supreme Court neutered Section 5 in Shelby County v. Holder, and hours later, Texas announced that its ID law was back in force. It’s now being challenged under Section 2 of the VRA, which was unaffected by Shelby. But under Section 2, the onus is on the law’s challengers to show not just that it hits minorities hardest, but that it does so because of a history of racial discrimination. That’s a relatively high bar to meet—though it’s one that voting rights advocates have met lately, at least for now, in the Wisconsin and Ohio cases. U.S. District Judge Nelva Gonzales Ramos, an Obama appointee, did little to tip her hand. But lawyers for the plaintiffs said they took her obvious engagement and interest—she took frequent notes, and several times interjected to ask witnesses to clarify points—as a promising sign. The challengers also continued to attack the main rationale Texas has offered for the ID law: that it’s needed to stop fraud. Lorraine Minnite, a political scientist at Rutgers University who has conducted perhaps the closest analysis of voter fraud claims, testified that voter impersonation fraud—the only kind of fraud that the ID might stop—is vanishingly rare. At times, lawyers for Texas seemed disorganized or disengaged. Reed Clay sought to use a U.S. Congressional report to discredit Project Vote, a voter registration group with whom Minnite has been associated in the past, but was unable to find the relevant portion, and gave up. Later, John B. Scott seemed to think better of a line of questioning about an expert witness’s past clients, and abruptly abandoned it, triggering laughter in the courtroom—and even a faint smile from Judge Gonzales Ramos. The defense in the redistricting trial has been similar, in that the state hasn’t bothered to do much. This is what happens when the burden of proof is not on you. PDiddie and Texas Leftist have more. That’s probably the simplest way to understand this story. 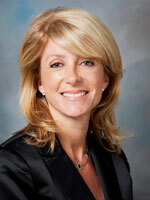 A San Antonio federal court has ordered Texas to pay more than $260,000 in attorney fees to the legal team that helped state Sen. Wendy Davis beat back Republican attempts to carve up her district in 2011. The ruling earlier this week amounts to another court victory for Davis, the frontrunner for the Democratic nomination for governor, in her years-long redistricting fight with state Republicans and Attorney General Greg Abbott, the presumptive GOP gubernatorial nominee. 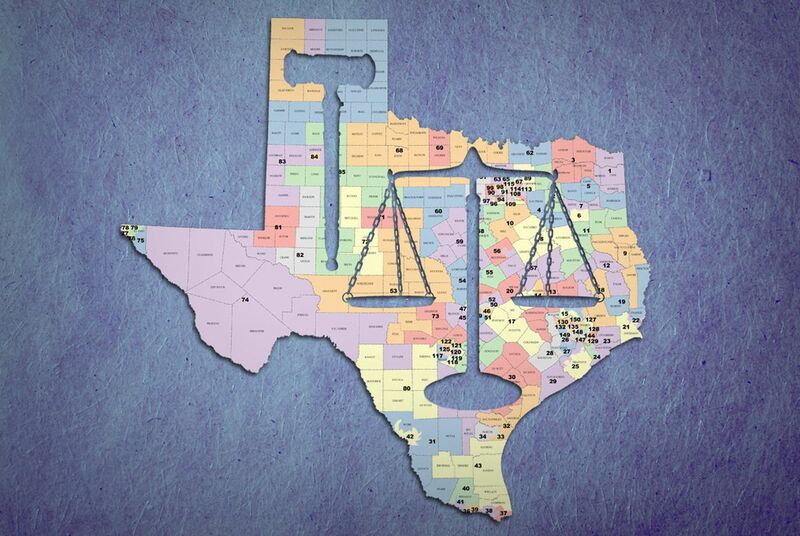 Aside from Davis’ lawyers, the League of United Latin American Citizens, which also sued Texas over its 2011 state senate maps, was awarded a total of $93,000 by the court. The state plans to appeal the ruling. A Davis campaign spokeswoman said it is no surprise the court ruled to award legal fees to attorneys representing the Fort Worth senator since she previously was declared a prevailing party in the case. “Greg Abbott should accept the facts and stop wasting taxpayer dollars,” spokeswoman Rebecca Acuna said. Led by Abbott, the state told a federal three-judge panel in San Antonio over the summer it was backing off the senate maps drawn in 2011 in favor of a new set. That was cemented when the Legislature in June approved maps keeping Davis’ district intact, and in court in September when the judges declared Davis a “prevailing” party and instructed her lawyers to file for reimbursement. It is undisputed that Plaintiffs obtained significant, affirmative interim relief. This relief was judicially sanctioned, materially changed the legal relationship between the parties, and gave Plaintiffs all the relief they sought with regard to the 2012 elections. In addition, that relief was not and cannot now be reversed, dissolved, or otherwise undone. Not surprisingly, Abbott has already announced his appeal, which will be heard by that bastion of fairness and impartiality, the Fifth Circuit. Abbott just won’t admit that he lost. That wasn’t the only loss Abbott suffered in court this week. 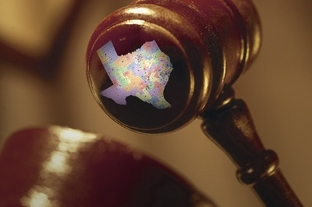 The three-judge panel in the Texas redistricting case entered an order Wednesday denying a request by the State of Texas to modify the procedures the court would use to decide legislative privilege issues. 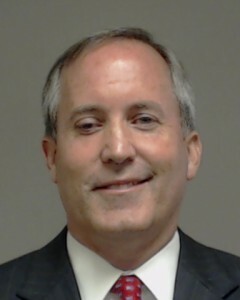 The legislative privilege is a personal one and may be waived or asserted by each individual legislator … [and] [a]ccordingly, neither the Governor, not the Secretary of State or the State of Texas has standing to assert the legislative privilege on behalf of any legislator or staff member that may be deposed. In sum, counsel for the State of Texas may not invoke the legislative privilege; each legislator, legislative aide, or staff person must assert or waive the privilege individually. Any person asserting the privilege must, however, provide enough facts so that a court, if necessary, can determine whether the information sought falls within the scope of the privilege. To the extent that any individual asserting the privilege has had communications or correspondence with any outside party or entity, such communication or correspondence waives the privilege as to the content of those communications. See here and here for the background. The basic idea is that Abbott wants to shield Republican legislators and staffers from being asked questions about their intentions and thought processes and what have you during the redistricting trial. It was ruled for the first trial that there wasn’t a blanket invocation of privilege for legislative witnesses, but it could be invoked if needed. Abbott argued that circumstances in the retrial were different, and the court disagreed. The Express News wondered why Abbott was pursuing this argument. There exists an immunity for state legislators from liability and from testifying. This is present in federal common law. On this much, the parties in the state’s ongoing redistricting litigation appear to agree. The question is, how broad is the immunity? In arguing for the federal court in San Antonio to modify its previous order on this issue, the Texas attorney general’s office would have us believe that the law makes this immunity broad beyond reason. Essentially, it would have Texans believe that public servants need not make public what went into the creation of public policy — even in a court case. In that previous court order on immunity, legislators could be deposed and could invoke legislative immunity but have to answer the questions anyway — with the depositions then placed under seal for court review. 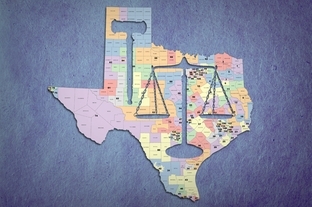 Now, since a U.S. Supreme Court ruling returned challenges to the state’s redistricting maps to the lower court here, Texas argues that matters have changed and the order should be modified. It asks that legislators who hadn’t previously waived privilege and new legislative witnesses be able to keep their mouths shut. The court’s first order was bending over backward. What the state attorney general is now seeking is for the court to go into contortions to shield legislators from revealing what they know. In the last go-around, it turns out that no legislator claimed privilege. If any lawmaker had, the public would have had a right to ask why. So, in this latest round, what is it that the attorney general’s office doesn’t want us to know about how and why legislators crafted these maps? Could it be that the maps were created and approved with full knowledge of whom these maps would keep in power and at which groups’ expense? Embarrassing stuff said and written during the process, pointing to purposeful discrimination? So, quit doing that. Problem solved. Given the state’s history on voter discrimination, the reluctance to be this forthcoming merely points to insidious maneuvering. The court — and the public — have a right to know. Seems pretty reasonable to me. And if stuff that embarrasses the legislators, the Republican Party, or Greg Abbott happens to come out of the trial, that’s just too bad. As the E-N says, they shouldn’t have done those embarrassing things in the first place. Veasey v Garcia, Round Two? Looks like we’ll have at least one high profile Democratic primary next year. Domingo Garcia’s pursuit of the national presidency of the League of United Latin American Citizens has just as much to do with politics as activism. The former state representative is considering whether to seek a rematch against Rep. Marc Veasey in the 33rd Congressional District, the seat created last year that stretches across Dallas and Fort Worth. The presidency of the nation’s oldest Hispanic civil rights group would give him a bigger platform. In theory, he would get the group to focus on North Texas voter registration and turnout efforts, which would ultimately help him if he decided to re-enter the political arena. Meanwhile, Veasey has already begun his re-election campaign, including a recent mega-fundraiser in Dallas. He’s made a strategic effort to appeal to Hispanic voters and make inroads into Dallas County. Veasey won the Democratic runoff by 1,100 votes in July and the seat overall in November. But the campaign never really stopped. While it’s still a question whether Garcia will opt for another campaign, the actions of both men suggest a second round is likely. Garcia and others are registering voters on both sides of the county line, hoping to add enough to the total to overcome Veasey’s advantage. With the support of Sal Espino and others, Garcia is finding open ears with Tarrant County Hispanics that didn’t know him last year. “My goal is to register 20,000 new voters,” Garcia said. So far, he added, 4,000 have signed up. Garcia’s campaign for the LULAC presidency has been contentious. He’s running against incumbent Margaret Moran of San Antonio. The election is scheduled for June at a Las Vegas gathering. But LULAC officials say Garcia isn’t eligible to run. They sued to keep the Democrat off the ballot. Last week, Garcia countersued. Veasey has stepped up his outreach to Hispanic voters and residents in Dallas County. He’s opened an office in Dallas, as well as Fort Worth. And Veasey has tried to become a player in Congress on immigration. He invited a so-called Dreamer, a young immigrant brought to the country illegally by her parents, as his guest to the president’s State of the Union address. Later, he hosted an immigration roundtable discussion on the issue in Dallas with Rep. Luis Gutierrez, D-Ill. And he participated in an immigration reform rally in Washington and met with Proyecto Immigrante, a North Texas group. His local staff has been a fixture at various Hispanic events, some where there were fewer than a dozen people. “I’m meeting people in Oak Cliff and new people in areas I’ve never represented in Fort Worth, Irving and Grand Prairie,” Veasey said. It may be awhile before anyone can take a breather in this district. On the plus side, if that incentivizes voter registration, it’s all good. You can listen to the interviews I did for the 2012 primary with Veasey and Garcia. Really, the right answer here is for there to be two new minority opportunity districts – as Rep. Yvonne Davis has demonstrated, one can certainly draw such a map – but that ain’t happening without a court order. Assuming it doesn’t, all things considered I’d prefer to see Veasey hold the seat – he has a higher ceiling than Garcia, and Veasey has done all the things I’ve wanted him to do. But as Veasey himself says in the story, no one is entitled to a seat. I’m sure he’ll keep working hard for it, and that’s just fine by me. I noted this Friday afternoon, but in case you missed it the San Antonio court has ruled that the interim maps will be used as is for the November election. 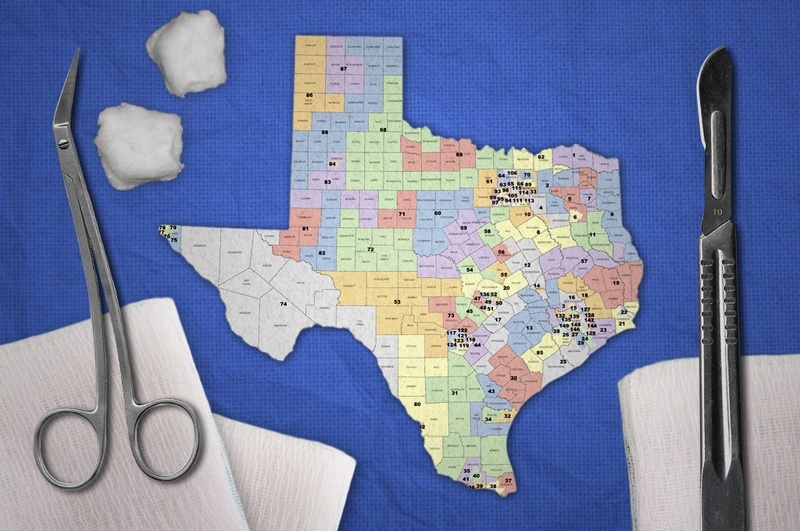 Texas will use its current district maps for the upcoming November election, a panel of federal judges ruled Friday afternoon, ending the possibility of another round of redistricting-induced electoral chaos. From the bench, federal Judge Orlando Garcia announced the next round of filings in the ongoing congressional map challenges would be due before Dec. 1, delaying further action until after the general election. “We’re really relieved that we can continue with the Nov. 6 election and keep it on track,” Bexar Elections Administrator Jacquelyn Callanen said, adding that she stopped proofing ballots to attend the hearing. I can’t criticize this decision. The time frame to make any changes, even minor ones, would have been extremely short, and it would have been possible to only address some of the issues noted by the DC court, so at least some discriminatory effects would have remained even in a new interim map. Most of the intervenors preferred to wait till after the election as well. Although all of the plaintiff groups were united in the view that there were additional deficiencies in the interim maps that needed to be corrected in light of the D.C. panel’s preclearance ruling on Tuesday, only LULAC was left insisting that the defects needed to be addressed before an election. Nina Perales, counsel for the Texas Latino Redistricting Task Force, told the panel that she would prefer to see the issues addressed in a more deliberative way – adding that election results from November 2012 could help inform that process. Perales also told the court that she just simply didn’t see that there was enough time to accomplish all that would need to happen logistically in order to adjust the maps in time for a November election – especially with ballot printing and other hard deadlines fast approaching. Perales also expressed concerns that the prospect of ‘jungle primaries’ in November 2012 (in which candidates of all parties run together on a single slate with the top two finishers moving on to a runoff) would lead to voter confusion and depressed turnout. Again, I think this was the correct call given the situation. But let’s be clear that the reason we’re in this situation, where the San Antonio judges were forced to choose between allowing discrimination to continue or throwing many of the general election contests into chaos, as LULAC attorney Luis Vera characterized it, is because the Supreme Court ordered the San Antonio court to throw out the original interim maps they drew. Those original maps were based on the last provably legal maps for Congress, the State Senate, and the Lege, namely the 2001 and 2003 redistricting maps. The Supreme Court ruled that the judges needed to use the legislatively drawn maps as a starting point. While I believe that’s a defensible position, here we see its fatal flaw: It allows for the possibility of uncorrectable discrimination in an election. You can blame the DC court for taking as long as they did if you want, but the root cause was the Supreme Court decision that took perfectly reasonable and logical maps that still would have given the GOP large majorities in each chamber and threw them out. Everything flowed from there. And whatever happens to correct these injustices for 2014, nothing will undo the electoral results from this year that are achieved with these illegal maps. One of the questions that came out of Tuesday’s redistricting preclearance ruling was whether or not it would affect the interim maps for this year. Some of the intervenors have asked the San Antonio judges about that. 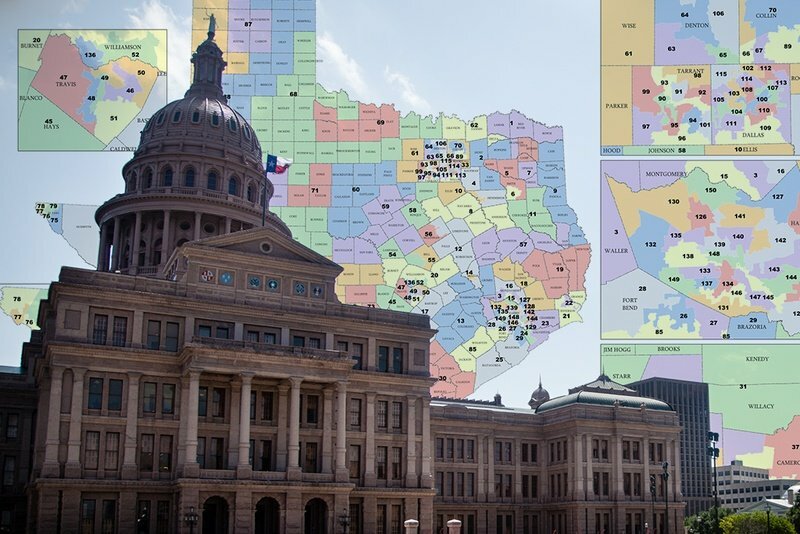 Several key minority and Democratic groups took a first step Wednesday toward challenging Texas’ interim redistricting maps, put in place for the 2012 election, by filing a request for a preliminary hearing in federal court. The motion came a day after a federal judge panel in Washington, D.C., struck down redistricting maps passed by the Texas Legislature, citing evidence that the maps were crafted with a discriminatory intent and would illegally reduce the ability of minority communities to select their representation. While those maps never took effect, the interim maps that were drawn by a panel of three federal judges in San Antonio for the 2012 election had to be based on the Legislature’s now-rejected maps. The filing asks the panel of three federal judges that drew the interim maps to convene for a status conference at the earliest practicable date. The three-judge panel in San Antonio has set a status conference for this afternoon, but it doesn’t sound like they’re inclined to take action. I suppose it’s theoretically possible to do something for a couple of the districts, and Lord knows it’s galling to have to hold even one election under a map that was based on that illegal, discriminatory mess that the Lege produced, but it sure seems like a high hurdle to overcome. We’ll what the judges say, but I’m not expecting anything. UPDATE: According to the Chron, the judges have ruled that the interim maps will remain in place for November. 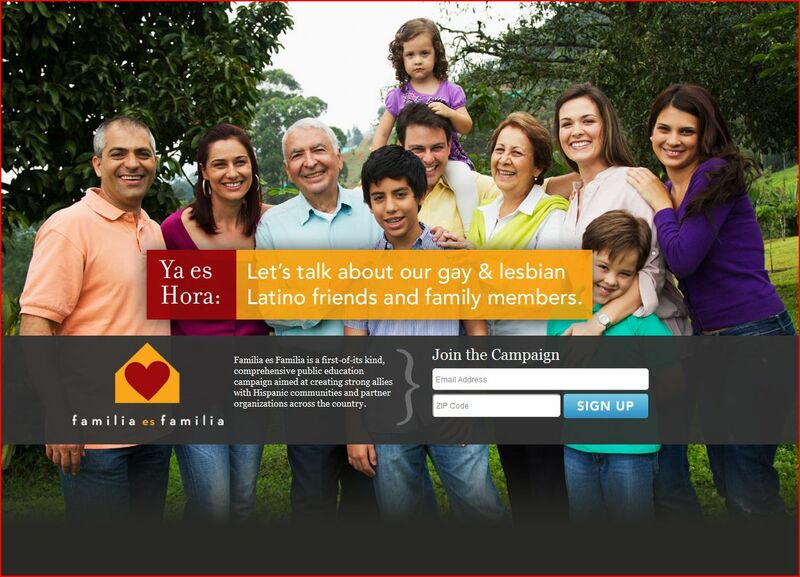 Twenty-one of the nation’s leading Hispanic organizations announced today their endorsement of a first-of-its kind, comprehensive public-education campaign called Familia es Familia aimed at strengthening Latino voices to build support within the Latino community for acceptance of LGBT family members. Public opinion polls show that Latinos really do lead the way when it comes to attitudes toward lesbian, gay, bisexual, and transgender (LGBT) people. Several recent studies by the Pew Hispanic Center, Bendixen & Amandi International, 2012 Opportunity Agenda and SSRS found strong support among Hispanics for a number of LGBT issues. Familia es Familia will be a bilingual campaign providing resources and information that are culturally appropriate to empower voices within and from Latino families and communities. In addition, the campaign will provide training, technical assistance, and support to the 21 Hispanic organizations and will spearhead a national effort to educate the public through a range of viral components including: an interactive bilingual website rich with videos, resources, and publications; social media platforms such as Facebook, Twitter, and YouTube; promoting stories and voices in the media; and an organizing campaign to engage the community through their mobile devices. of the Latino community,” said Thomas A. Saenz, President and General Counsel, MALDEF. “NCLR is deeply committed to the civil rights of all Americans, including our friends and family in the LGBT community. We are very proud that this ground-breaking public education campaign, ‘Familia es Familia’, is being launched at our Annual Conference this year in Las Vegas,” said Janet Murguia, President and CEO, NCLR. 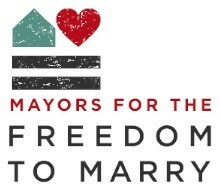 Freedom to Marry provided the seed funding and serves as fiscal sponsor for Familia es Familia. The Gill Foundation has also committed to providing additional resources. “Given the breadth and depth of this first-of-its-kind campaign, this effort is so vital for our community, and we hope that it will help to change the dialogue and hearts and minds about our Latino LGBT family and community Members,” said Ingrid Duran, Laura Esquivel and Catherine Pino, the D&P Creative Strategies team, the lead firm working with Freedom to Marry to create and manage the campaign. For more information, please visit www.familiaesfamilia.org. See here for more. A list of sponsoring organizations for this is beneath the fold. One thing I want to add to this is that there’s no question this is a direct result of President Obama’s endorsement of marriage equality from several weeks ago. Over the past year or so I’ve read numerous national writers, Ezra Klein chief among them, write about how generally speaking presidents can’t move public opinion by making a speech on something. There’s a lot of polling data to back that up, and I know Klein has harped on this subject as a pushback against the media’s fetishization of presidential powers of persuasion. Clearly, though, this is an exception. It’s not that the organizations that have been following the President’s lead had previously opposed marriage equality, it’s that they’ve taken the opportunity to raise the priority on the issue, and to present a united front that stands as a strong signal to people who are otherwise in tune with them but who needed a bit of a push on this. It’s really been remarkable to watch, and has been a shining beacon of hope in some otherwise dark times. 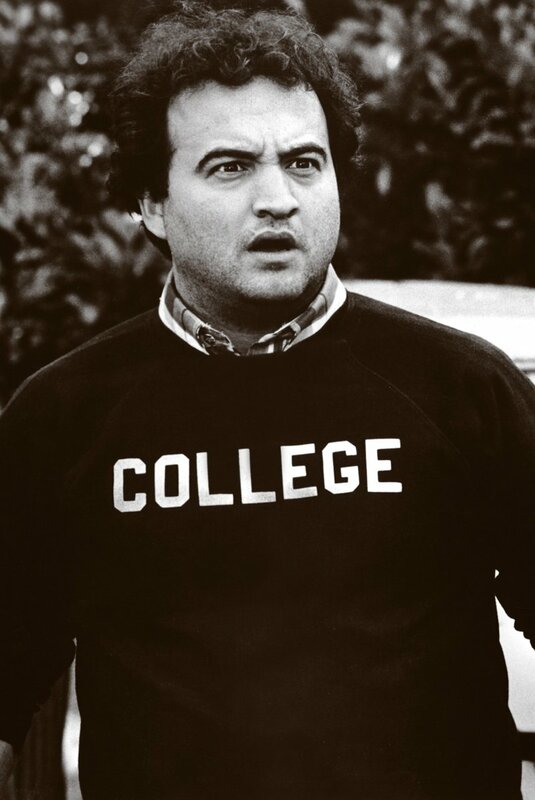 We could use a lot more like this. I’ve noted several stories about single member Council districts in various Texas cities over the years. They often involve litigation, so these battles can have implications beyond the borders of the locality in question, but I just find the questions about why a given city should or should not change from an at large system to a district system to be fascinating. Anyway, for all those reasons when I came across this story about such a court fight going on in Boerne, which if you’re not familiar with it is a town of just over 10,000 people about 40 miles northwest of San Antonio, I had to click on it. In doing so, I found that it involved a couple of familiar names. Although a recent court mandate has undone Boerne’s shift in 2010 to electing city council members by districts, city officials are resisting a return to cumulative voting — with the candidate filing period for the May election just weeks away. “We’re pushing for single-member districts,” City Attorney Kirsten Cohoon said Wednesday after a hearing before U.S. District Court Judge Orlando Garcia in San Antonio. Boerne resident Mike Morton, who filed the suit over the change, argues that any deviation from the at-large election system mandated by the city charter must be approved by voters. The City Council voted in late 2009 to enact voting from five districts by modifying a lawsuit settlement it struck in 1996 with the League of United Latin American Citizens. LULAC had sued the city, claiming the at-large voting system disadvantaged minority voters. The original lawsuit settlement in 1997 called for adoption of cumulative voting, which allows residents to cast as many votes as there are seats to be filled. Garcia asked whether a charter amendment to enact single-member district voting could be put on the May ballot in Boerne. Although Morton said he would drop his suit if such a vote occurred, LULAC attorney Jose Garza indicated his clients would sue if voters defeated such a measure and cumulative voting continued in use. Yes, that’s Judge Orlando Garcia of the three-judge panel that drew the now-disallowed maps for Congress, State Senate, and State House, and Jose Garza, who just argued the plaintiffs’ case before the Supreme Court. I daresay it’s been a busy few months for both of these gentlemen. Boerne is the first city I’ve heard of to use cumulative voting. I’m wondering how you might run a campaign differently under those conditions. Anyway, the reason for the agreed change that’s now being litigated is that in the 14 years they had cumulative voting, only one Latino candidate was ever elected to anything. For what it’s worth, according to the Wikipedia entry, persons of Hispanic or Latino origin of any race were 19.44% of the population. You can see the proposed single member district map here – it’s one of the least gerrymandered maps you’ll ever see. Whether it would further LULAC’s goals or not I couldn’t say, but as I generally favor single member districts I’m rooting for them.